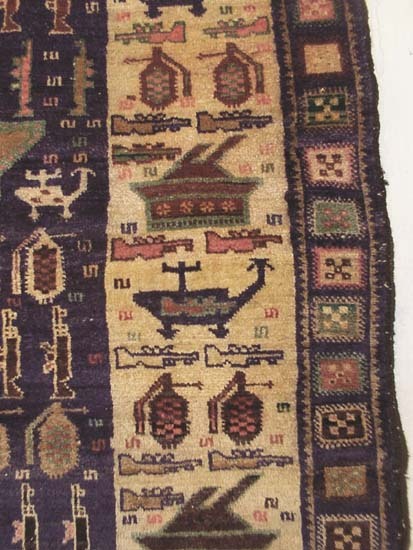 This a not uncommon border design in Baluchi rugs. 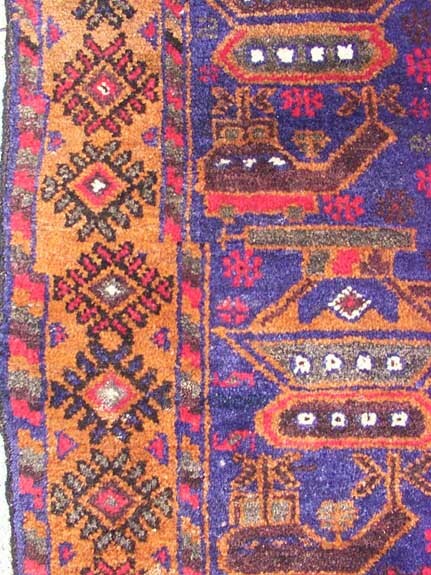 It lacks a main border, but rather features three quard strip width borders, again not uncommon in Baluchi rugs of all styles. Mushwani border with repeated mosques. 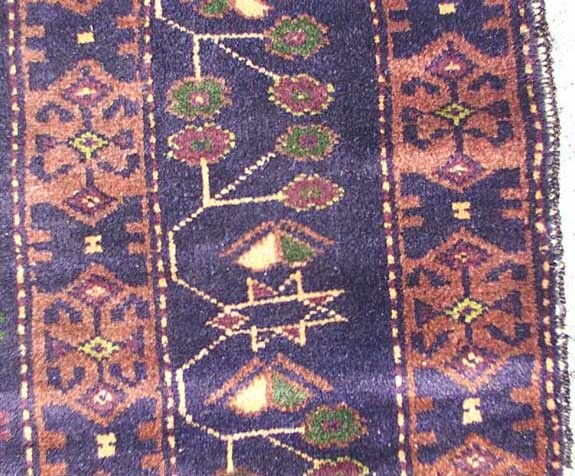 Traditional Turkmen border with bullet skirt. Al Kwaja border. Beshir Turkmen. 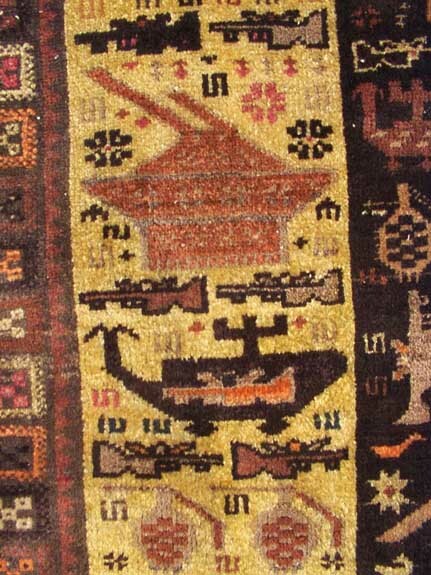 Wheeled APC border design on Ghazni red rug. This border, while thin, employs good use of color. This is a not very interesting border design. 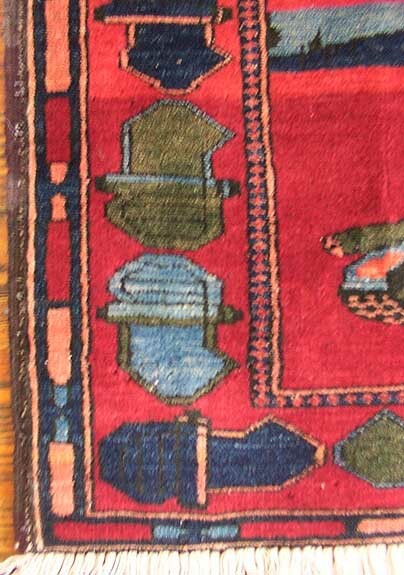 Note inclusion of guard stripes on this very high quality rug, although border drawing jumpy. Traditional sumac border with extra inner main border of beautifully rendered bombers. Note glitch. 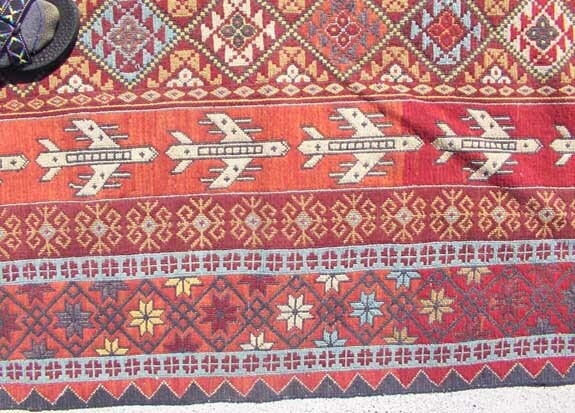 This is a Turkmen design border, but colors and pattern are not typically Turkmen, so�. 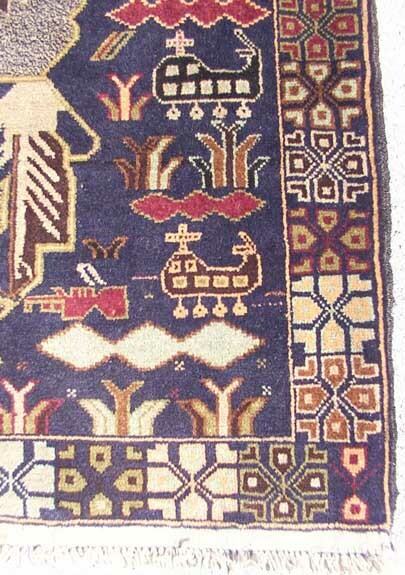 This photos shows a tree of life motif running inside the border one each side of the rug. Best type of border. Note grape vine main border, and two very special, and wide, guard stripes. 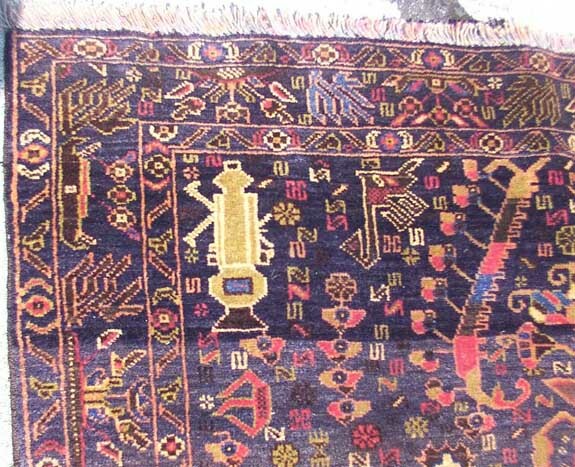 Asymmetrical, elaborate border, consistent with extremely good quality of this rug. 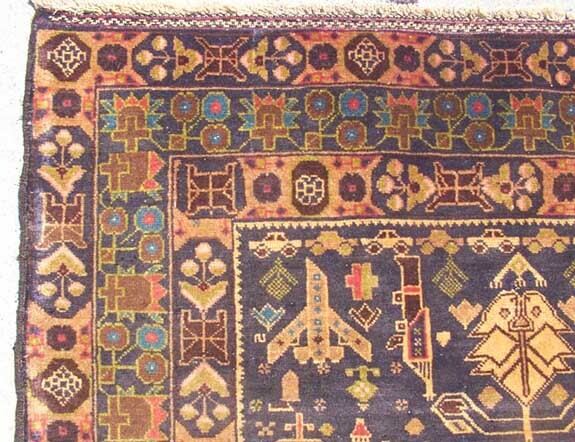 Corner section of Bomber/Copter/Tank rug. Secondary designs, flowers, make this border particularly nice. Golden Border, note stylized helicopters, and checkerboard guard stripe. 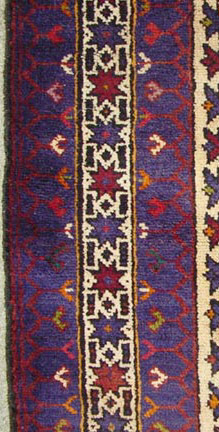 Butterfly plastic mine border seen on some rugs from Pakistan. Note fluorescent green and bleeding. Classic ""Golden Border"" with guns-up retreating tanks and super stylized helicopters. 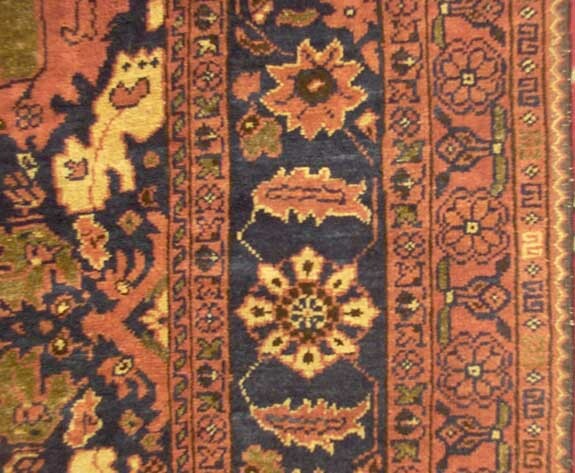 One group of rugs, featuring a particular wool and single cord wool overcast selvedges feature this border.